Chaim Boruch has started to Speak! But from the technology of his beautiful iPad donated to him from Chai Lifeline and with the unwavering support of our favorite teacher Ms. Kate and Dan from the Tech Center. And suddenly, in front of everyone’s eyes, Chaim Boruch ran (probably lurched with his determined yet unsteady steps…but I like to think ‘ran’…note the desperation in my voice!) over to his iPad and navigated through various categories to click on icons which symbolize words. If there was ever a moment where time stood still, it was the moment his teacher called me, only minutes after Chaim Boruch ‘spoke’…to share and relay this milestone in our life. 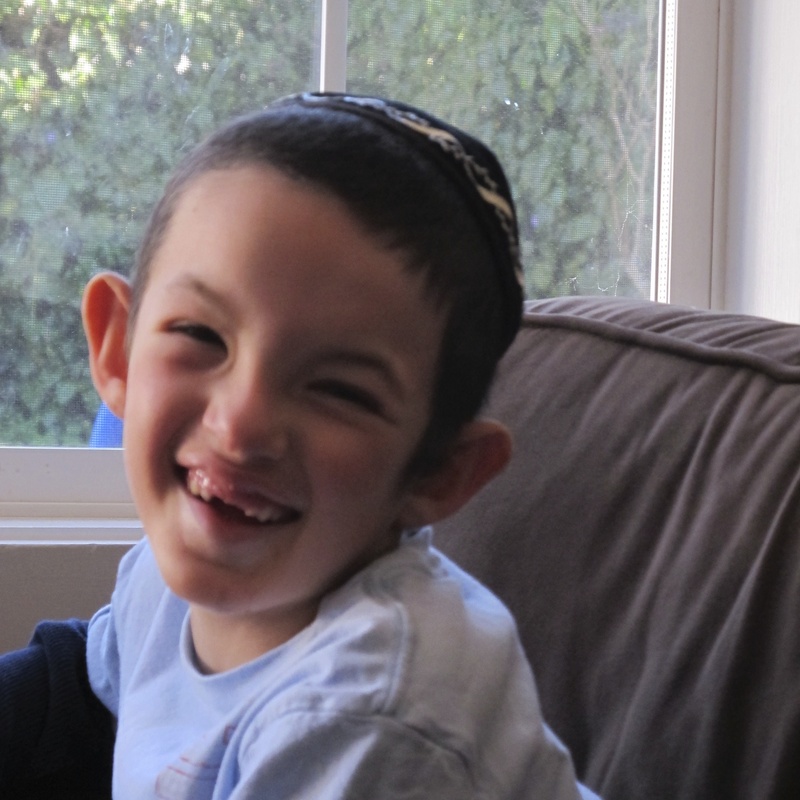 Chaim Boruch is learning to communicate. And indeed…it was time for snack. Now, it may not have been the ‘words’ I literally hear in my dreams late at night, but as I got off the phone, reeling from sheer gratitude, I thought about his first few ‘words’. A message from the heart of my dearest 6 year old. GO reach for the stars. WANT deep from within. SNACK on Life. GO nourish your body and Soul and WANT all your dreams to come true. SNACK and savor the little things in life…frequently, without fail. Who wants to miss snack? I love you Bubby…love always, Chaim Boruch!